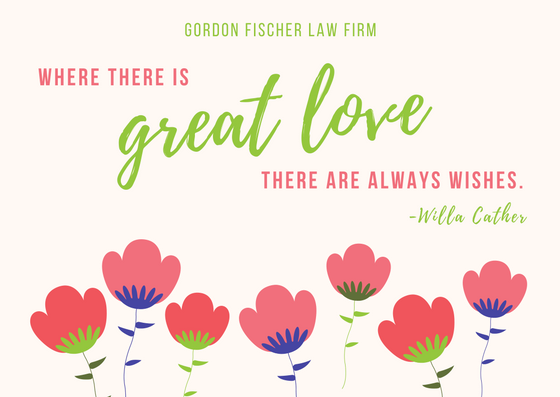 Here on the GoFisch blog we’re covering how estate planning and love are two things that go together like hugs and kisses, red wine and chocolate covered strawberries, cute cards, and candles…just in time for Valentine’s Day! If the sight of Valentine’s Day cards, heart-shaped candy, and overpriced stuffed animals give cause for an eye roll, you’re not alone. 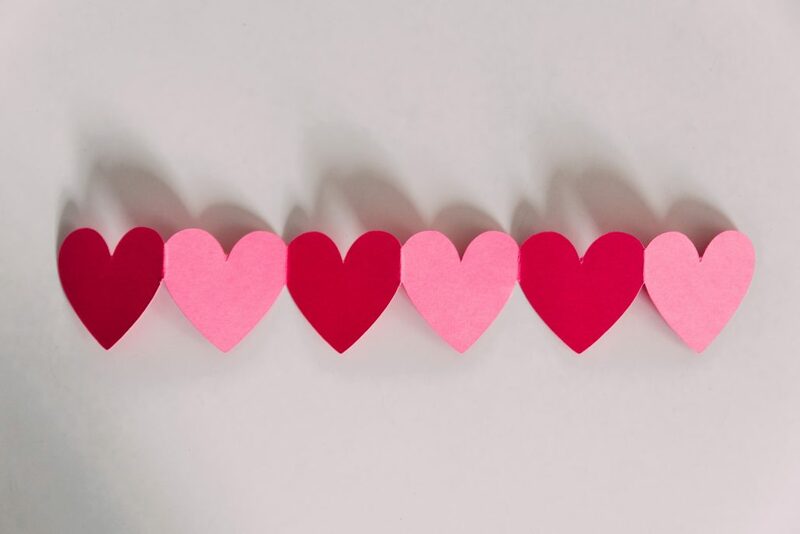 But, there’s no doubt that underneath all the conversation hearts that a holiday about love is worth celebrating…especially if it’s self-love. At the end of the day, there’s no greater love than the one you can cultivate for yourself. Couples get a lot of attention on Valentine’s Day—from the overpriced card aisle to the heart-shaped chocolate boxes that are clearly the only way to tell someone “I love you.” But, the pink, red, and white modern iteration of the pagan fertility festival Lupercalia can take many forms including making it a day of “treat yo’self.” If you’re single, or simply are in need of a day to celebrate and connect with how awesome you are, Valentine’s Day need not be a day to exalt romance, but a holiday to celebrate love for yourself. In terms of celebrating yourself, executing an estate plan is a natural fit. Why? Because estate planning allows you the chance to determine the direction of your legacy even after your physical life has passed. This principle can easily be remembered with one simple phrase: Give whatever I have to whomever I want, the way I want when I want. That’s a celebration of your life if I’ve ever heard it—decisions that guide your hard-earned property and assets into the hands of beneficiaries whom you care for. Estate planning also saves your loved ones’ time, money, and the arduous intestate probate process. Don’t forget that estate planning can (and should) be personalized to entirely fit you! Have a best furry friend? You may want to consider an animal care trust. Have you invested in a fledgling art collection? You’ll want to review your three main options for art disposition. Own your own business? You’ll want to look into a trust and a business succession plan. So, treat yourself to a nice bottle of wine, a delicious dinner, maybe even a day at the spa, but also download my Estate Plan Questionnaire. You deserve to celebrate yourself, your life, and your work. Questions? Want to talk about the individualized aspects of your estate plan? Don’t hesitate to contact me. A fancy dinner out on the town is nice. Going to see a show is great. A trip to the spa for a couple’s massage is romantic. 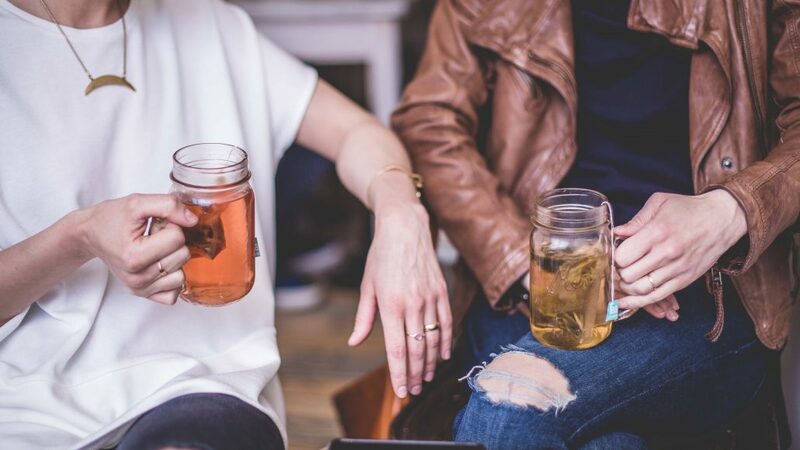 All are excellent date ideas and I fully recommend you pursue them! But, in addition, there’s one unconventional date idea you and your significant other should consider this Valentine’s Day: reviewing your estate plan. Don’t worry, even though I’m an attorney I totally understand that reviewing multiple pages of a legal document isn’t outright romantic (much to the relief of my wife). However, because I am an estate planning attorney I know realistically how important it is to keep your estate plan updated and current. 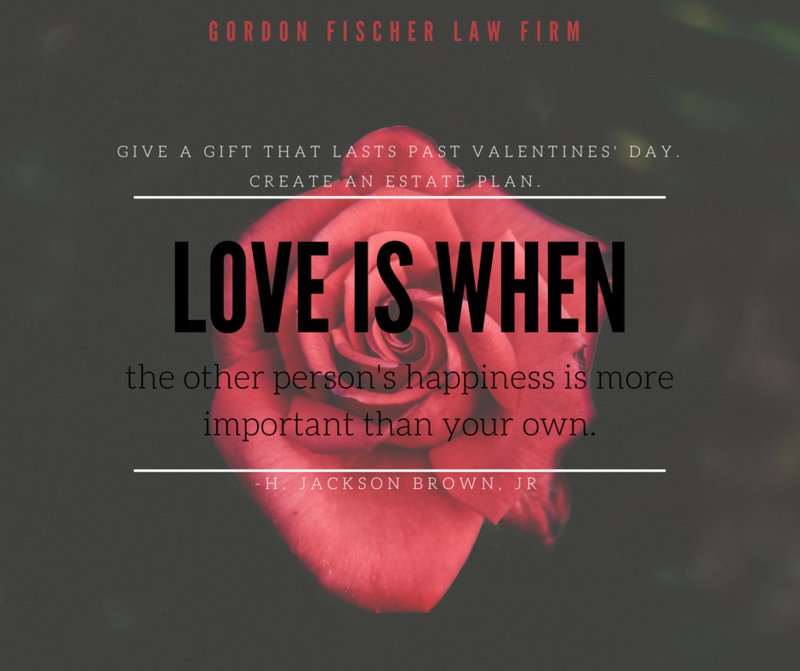 Taking time with your significant other to consider your current and future assets, as well as your estate planning goals is a practical “date” with major benefits for the future like saving time, money, and eliminating hardship on your family and friends. Major life events like the birth of a child or grandchild, marriage or divorce, moving to a new state, a major change in financial situation, and/or the loss of a designated representative or beneficiary could necessitate changes to your estate plan to keep it valid. Let’s use some hypothetical examples to explore why it’s necessary to update your will and the other important estate planning documents. If you have minor children you should have nominated a guardian in your will in case something was to happen to you. Let’s say the primary guardian you nominated has since moved far away—this may mean you need to consider nominating a new guardian. In another example, it came to light since you made your estate plan that your financial power of attorney designated representative has fallen on hard times due to a gambling addiction…you’ll seriously need to consider amending the document and designating a different representative. Speaking of change, remember too that state and federal laws are perpetually changing and when certain rules change, so too must your estate plan. Case in point? The “Tax Cuts and Jobs Act of 2017,” AKA the new GOP tax bill. For instance, the changes to the federal transfer tax exemptions could impact decisions as to if a certain type of trust is applicable. Again, this is where an experienced professional estate planner, whose job it is to stay up on these policy changes so you don’t have to, is beneficial. Again, it’s a good idea to review your estate plan at least once a year even though estate plans never expire. What better date reminder for a long-lasting document indicating a standing commitment to care and support than Valentine’s Day? Make it a tradition! (You can even drink wine and eat a box of chocolates while you review.) Along with reviewing the estate planning documents, it’s smart to check in with your professional advisors like your estate planner, financial advisor, insurance agent, and the like. Of course, if you don’t have an estate plan yet that’s the first step. Even more “romantic” than reviewing your estate plan? Filling out my Estate Plan Questionnaire! 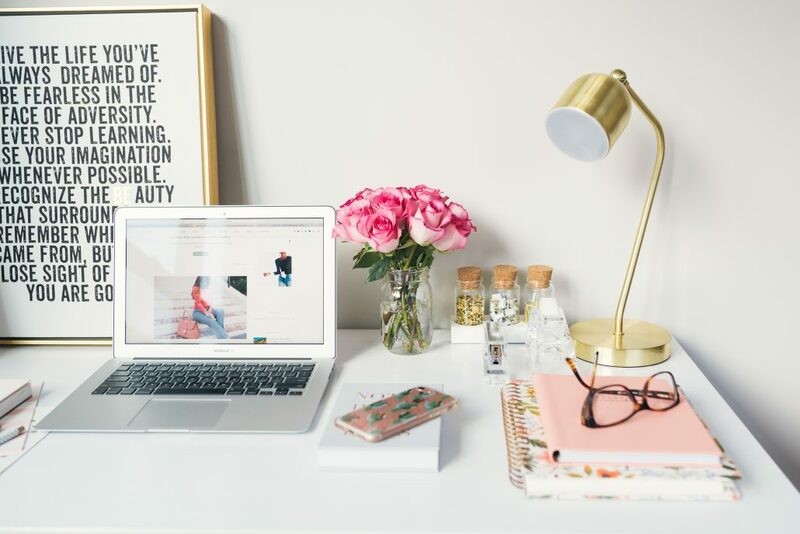 Don’t hesitate to contact me with any questions and share the results of your estate plan review with me via the hashtag #PlanningForLove on Facebook, Twitter, and Instagram. 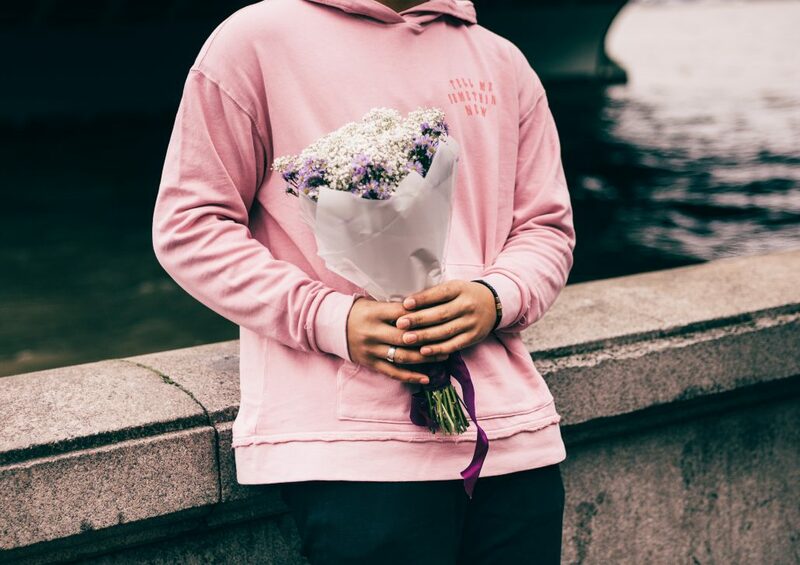 As Valentine’s Day approaches you’ll see all kinds of gift guides telling you if you get these gifts, your significant other will love you that much more. I’m here to present a different kind of gift guide: one with important gifts that you cannot buy from a store. These gifts are all a part of estate planning in one way or another. At this point, you’re thinking what does some legal/financial thing like estate planning have to do with a holiday that celebrates love? On the outset, not much. But, dive into the reasons behind proper estate planning and most often I find love is at the foundation for most folks. Read on for a gift guide you definitely won’t find in a magazine! It’s good practice to review all of your beneficiary designations if there have been any life events that would necessitate a change, addition, or update, such as a birth, death, or change of capacity in a beneficiary. It’s important to discuss your estate planning decisions with your family members both before and after the plan is executed. In drafting the estate plan you’ll need to indicate to your qualified estate planning attorney whom you’re entrusting the important roles of executor, attorney-in-fact, guardian, and other designated representatives to. Before naming someone in a legal document you should discuss the role with them first to be sure they are willing, able, and informed to the duties of the role. After the estate plan is executed you’ll want to discuss your estate planning decisions with loved ones, family members, and beneficiaries, especially when your choices may take them by surprise. How can a discussion be a gift, per se? Explaining your wishes is a way of expressing your love by heading off any confusion your family and friends may feel upon needing to execute your plan. This is yet another reason to have an attorney draft your plan—your estate planner can help you communicate your wishes to your loved ones. This is the kind of “gift” your child(ren) will hopefully never need to experience. 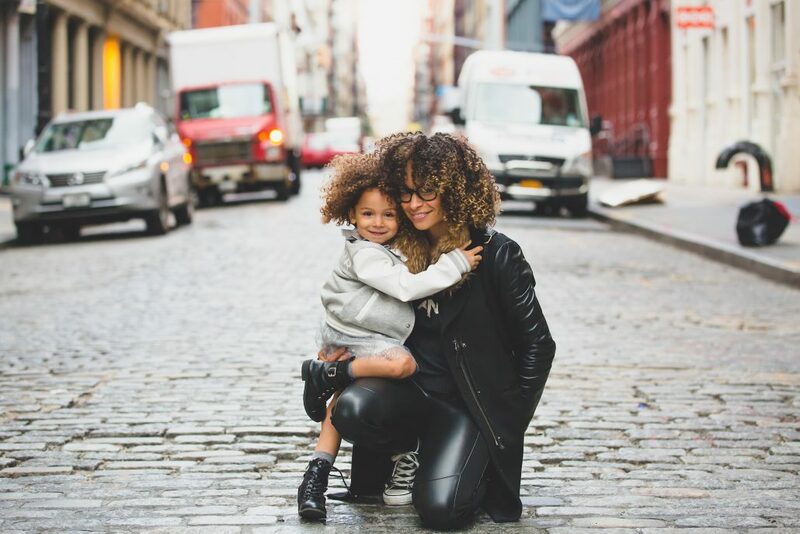 One of the most critically important features of an estate plan is establishing guardianship for any minors (i.e., children under the age of 18) in your care. Why? In the tragic and terrible chance that something was to happen to you resulting in immense incapacitation or death, who do you want to care for your children? Nominating a guardian in your will allows you to select the people you know will love, care, and look out for the best interests of your child. Unless guardianship has been established, an Iowa Court must choose guardians. Unfortunately, with no clear choice as to what the former caregivers would have preferred, the Court must basically make its own and best determination as to who the parents would have preferred and what would be in the best interest of the children. The Court may or may not, choose who the former caregivers would have named. Valentine’s Day doesn’t just have to be mean about personal relationships! It can also be a day for sharing the “love” for charities you care deeply for. In making or updating your estate plan think about what charities are near and dear to your heart? Which organizations and how much would you want to leave to them? You can include your church, alma mater, local cause, or international organization in your estate plan as beneficiaries. It doesn’t cost anything extra, other than assets from your estate. Want a clearer picture of how a charitable bequest could help your favorite charity? Talk to the nonprofit’s leaders or fundraising staffers. I’ll bet they’ll tell you the result of your charitable bequest, no matter how big or small, can make an important impact. Love can take on many forms and express itself through many different types of gifts and actions that show you care. Choose this Valentine’s Day to express your affection (be it for a significant other, your children, or a charity) with a “gift” that shows a clear investment in the relationship. And, speaking of amore, I would love to discuss any aspect of this gift guide with you! Contact me at any time. You’ve been perpetually reminded by commercials, Facebook ads, and the candy aisle at the store that everyone’s favorite pink, red, and chocolate-dipped holiday is coming up quick. 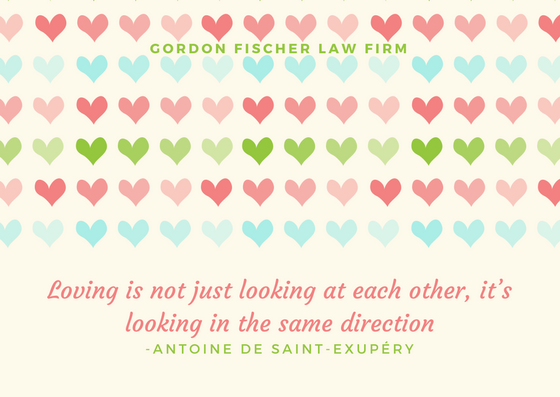 In this #PlanningForLove series through February 14, I’m featuring different aspects of how estate planning oddly but perfectly fits in with a day all about love. 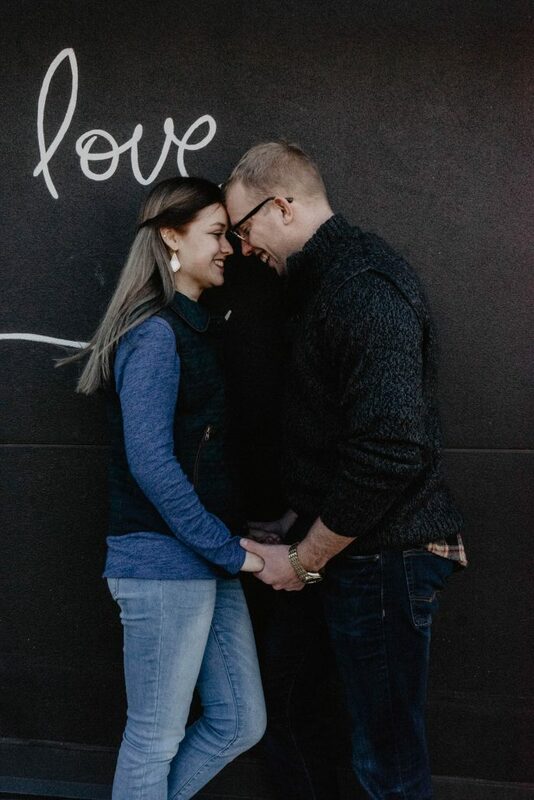 For this post, I’m going to focus on married couples because, despite the commercialization and overpriced flowers, Valentine’s Day seems as good as time as any to celebrate your spouse! Let’s face it, it’s a miracle any of us find a soul mate, a best friend, a partner in crime…whatever you call them…that not only tolerates all your weirdness on the daily, but also still loves you “for richer or poorer” and “through sickness and in health.” I can think of no better way to honor that kind of long-term commitment than to take the appropriate estate planning steps with your sweetheart in mind. I realize it may not be the most romantic gesture, but it’s WAY more valuable than stale chocolates or a heart-holding teddy bear. And, like your love, there is no expiration date on an estate plan. For richer or poorer makes a lot of sense when put in the context that someday you are going to pass away and you probably want to pass your assets to your spouse (and heirs at law) while also minimizing the burdens. If you die without a will it will cost your beloved a lot of time and money, on top of anxiety and even heartache. In sickness and health also directly relates to one of the main estate planning documents. For instance, say you were in an accident and were severely incapacitated. You would want to have your health care power of attorney established and kept updated (many spouses choose one another as the designated representative), so that important medical decisions could be made by someone you trust to do what’s in your best interest. The same goes for a financial power of attorney. There are many aspects of your separate finances you may want to designate to your spouse so they could settle or manage specific assets in the case that something happened to you. Beyond the numerous benefits that come with the six main estate planning documents that all Iowans need (yes, all Iowans, young and old; rich and not wealthy! ), what are the other considerations of spouses should have in regard to estate planning? In this case, “common law” is simply a term used to determine the ownership of property acquired during the marriage. As in, the common law system provides that property acquired by one member of a married couple is owned completely and solely by that person. Of course, if the title or deed to a piece of property is put in the names of both spouses, then that property would belong to both spouses. If both spouses’ names are on the title, each owns a one-half interest. If your spouse were to pass away in a common law state, his or her separate property is distributed according to his or her will, or according to intestacy laws without a will. The distribution of marital property depends on how the spouse’s share ownership—the type of ownership. If spouses own property in “joint tenancy with the right of survivorship” or “tenancy by the entirety,” the property goes to the surviving spouse. This right is actually independent of what the deceased spouse’s will says. However, if the property was owned as “tenancy in common,” then the property can go to someone other than the surviving spouse, per the deceased spouse’s will. Of course, not all property has a title or deed. In such cases, generally, whoever paid for the property or received it as a gift owns it. If married, technically your spouse cannot disinherit you. 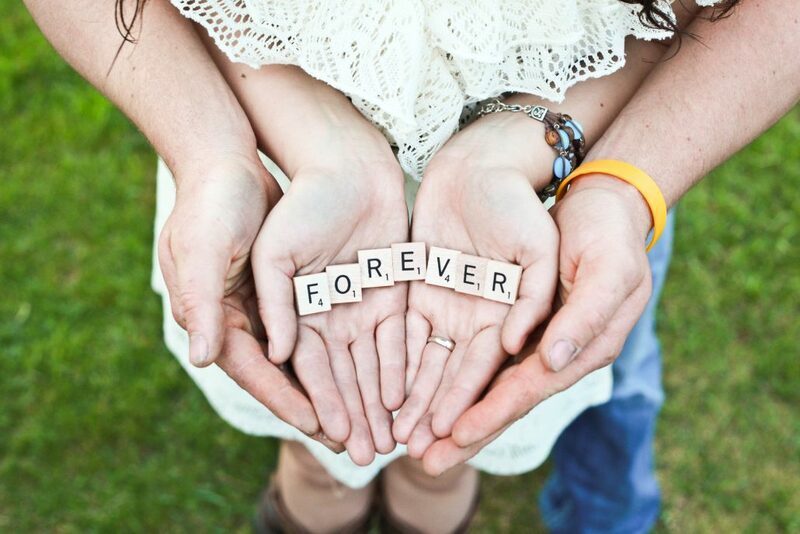 An Iowa statute allows spouses to take a “forced share” against the will. In short, the surviving spouse has a choice; the spouse can inherit any property bequeathed to him/her under the will, OR the spouse can take a forced share. So, even if a will leaves nothing for the surviving spouse, the surviving spouse can take a forced share against the will. One-third other personal property of the decedent that is not necessary for payment of debts and other charges. In other words, a surviving spouse can choose (elect) after your death to basically ignore your will or trust that doesn’t provide for said surviving spouse, and take approximately one-third of your estate. For example, if you left your entire estate to your children and not your spouse, your spouse can say, “You know, I don’t like this at all. I’ll take one-third of my dead spouse’s estate. Thank you!” And, pretty much just like that, boom, the surviving spouse can do so. The unlimited marital deduction is a money-saving must for married couples. The unlimited marital deduction is an essential estate preservation tool because it means an unrestricted amount of assets can be transferred (at any time, including at death) from one spouse to the other spouse, free from taxes (including the estate tax and gift tax). Note that the marital deduction is available only to surviving spouses who are U.S. citizens. If your spouse is not a U.S. citizen, look at other tools, such as a qualified domestic trust (QDOT), which may act to minimize or eliminate taxes. Married couples often seek joint representation in estate planning, meaning they both utilize the same estate planning lawyer. (And, yes, you most definitely want to hire a qualified, experienced estate planner.) The benefits are obvious; joint representation can be cost-effective and can be more efficient since you can work together on a single Estate Plan Questionnaire in preparation to meet with the estate planning lawyer. Another advantage is that the joint representation somewhat forces open and honest communication between you as a couple as you make decisions on beneficiaries (such as children and grandchildren), executors, and disposition of property. However, individual representation is, of course, an option and can help couples avoid conflicts of interest.) There are times when it is best for each spouse to seek separate legal counsel. One such time is when there are different interests that are at odds with each other. For example, if one or both people have children from a previous marriage/relationship that will be named as beneficiaries. There can be conflicting interests between stepparents and stepchildren when it comes to the estate. Additionally, if you both have your own individual estate planning lawyer, you may have more freedom to voice individual concerns, without having to audit your opinions in accordance with your partner’s desires. You’ve worked hard for the life you’ve built together with your spouse. This Valentine’s Day, give a gift that ensures your commitment will carry on even after one of you passes on. The best way to get started is with my free, no-obligation Estate Plan Questionnaire. You can also email or call (515-371-6077) me at any time. I’d love to explain more how an estate plan says, “I love you,” way better than a card ever could! One major way we can show our loved ones how much we care about them is by making our wishes known for when we’re no longer there to tell them. Estate planning is one of the best ways to do that, especially concerning wishes regarding what’s to be done with the physical body after death. One of the six main documents a part of any estate plan is called the “disposition of final remains.” In this document, you can detail how you want your body to be treated after you pass away, along with any ceremonial aspects. You may be as specific or as general as you wish. If you’ve ever had someone close to you die and have been tasked with making arrangements for the wake, funeral, and burial or cremation (or otherwise), you know it can be difficult. 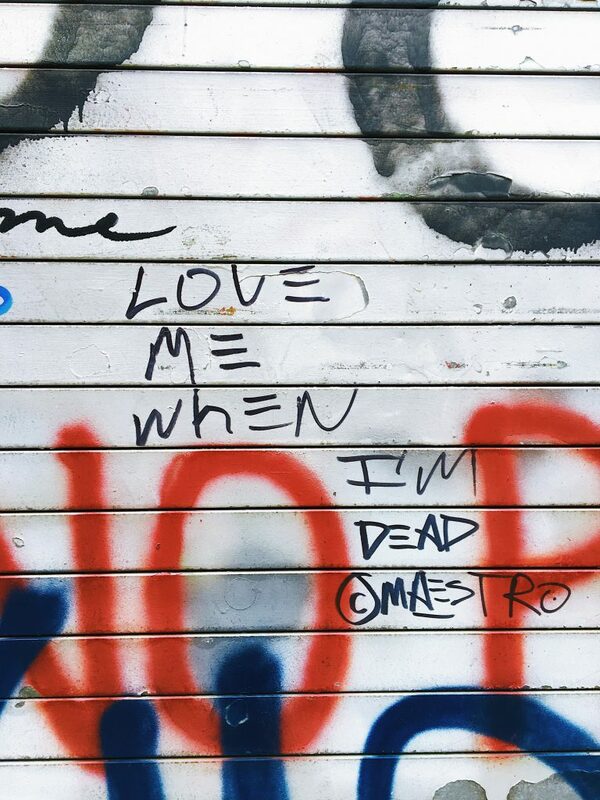 Not only are you dealing with heartache and grief of losing that loved one, but now you’re also dealing with the organizational aspects of death. If you die without an estate plan, and without clear instructions in a disposition of final remains document, you’ll be leaving your loved ones with a headache on top of the inevitable heartache. The ambiguity surrounding final remains can lead to fighting between family members if they disagree over what would be best. That’s why taking the time to think through your final services is a wonderful gift and a great way to show your loved ones how much you care. Let’s go through some of the basics related to this important, valuable document. What Does “Final Disposition” Mean Anyway? Final disposition sounds, well, conclusive. Indeed, this is about what you ultimately want to be done with your physical body following death and can include burial (sometimes referred to internment), cremation, removal from the state (if you want to be buried in a different state), and other types of disposition. You may also detail if you wish, a funeral or other type of ceremony (maybe even a party) to be held. If you’ve purchased a burial plot or want to be laid to rest in the family mausoleum, you would include those details here. In the disposition of final remains document, you can designate one or multiple adults to assume responsibility for carrying out your wishes, similar to how you designate an executor to carry out the wishes as written in your will. Your designee (or designees) can be whomever you choose, just be sure to speak with them to make certain they are comfortable and accepting of the role. Of course, the designee must be a competent adult. The Act also allows for alternate designees to be named in the event the primary designee is unable to act. The Declaration is not allowed to include directives for final disposition of remains and arrangements for ceremonies planned after death. If something were to happen to you without a disposition of final remains document in place, the surviving spouse (if there is one) assumes the role as designee. If there is no surviving spouse, then the designee role passes to any surviving children. If there are no surviving children then the role would pass to the parents of the decedent, then grandchildren, surviving siblings, and finally surviving grandparents. Because the disposition of final remains document is a key part of your estate plan, it’s best to get started with my free Estate Plan Questionnaire. Questions or want to discuss your personal situation? Contact me at any time via email or phone (515-371-6077). 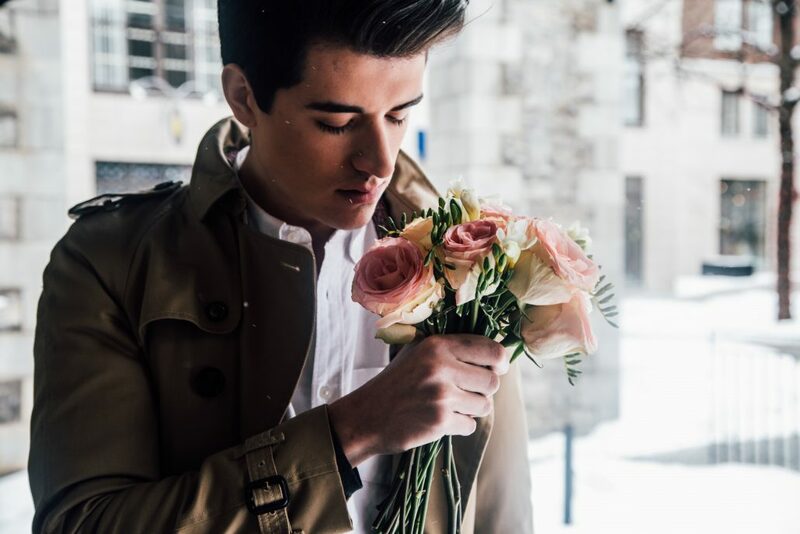 Speaking of the most romantic holiday of the year, I’ve really LOVED writing the #PlanningForLove series in the lead up to Valentine’s Day this year. We’ve been able to cover some super important aspects of an estate plan and how, oddly enough, estate planning is one of the ultimate expressions of love. What are your favorite love songs of all time I should add to this playlist? Let me know in the comments below. (Also, I apologize if “My Heart Will Go On” is now stuck in your head.) Want to discuss your estate planning options? Don’t hesitate to contact me via email or phone (515-371-6077). Valentine’s Day is coming up quick and while I think the commercialized messages of “this is love” can get a little cheesy, I’m a full supporter of a day that celebrates love. Be it love for your spouse, a celebration of the fact that you are awesome, or showing even more adoration for your furry best friend, the world could always use a little more love. 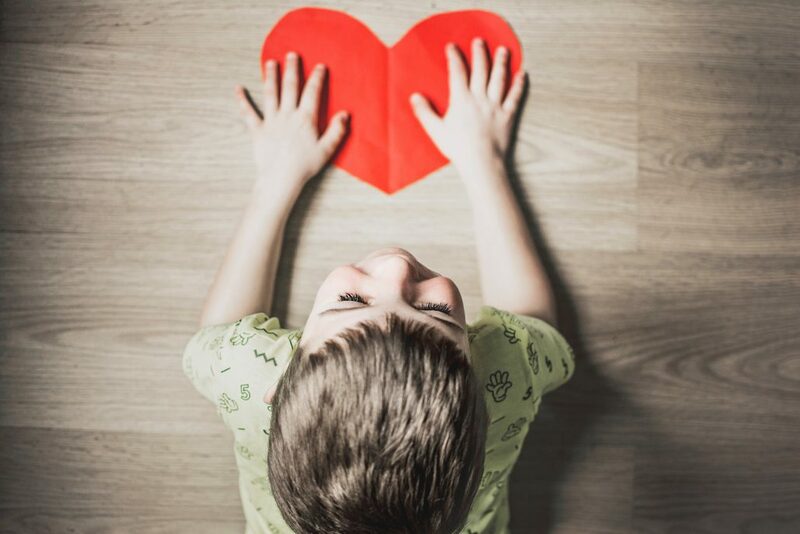 In this important addition to the #PlanningForLove series, let’s talk about ways you can show love to your children through your estate plan. I’ve discussed the importance of guardianship quite a bit on this blog. It’s important that anyone with minor children establish guardianship so that if something were to happen to you as a legal guardian that your minor children (under age 18) would be immediately placed in the care of someone you know, trust, and most importantly, choose. Just as establishing guardianship is a powerful gift that your children will hopefully never have to actually know about or experience, a testamentary trust can also continue to provide and support your children if something were to happen to you. There is an almost endless number of different kind of trusts and you can put just about any asset in a trust. Testamentary trusts are one of the most common kinds of trusts I establish for my clients. You may recognize the first word of the type of trust from “last will and testament.” Indeed, a testamentary trust is a trust written into your will and provides for the distribution of a portion or all of your estate. Different from an inter vivos trust, which is established during the settlor‘s lifetime, the testamentary trust kicks in at the completion of the probate process after the death of the person who has created it for the benefit of their beneficiaries. Typically testamentary trusts are created for minor children or others (such as a relative with some kinds of disabilities) who may inherit a large amount of money if you (the testator) were to pass away. The general thinking is that you may not want a minor child, or even a young adult, to have uninhibited access to their inheritance until a certain age (and presumed level of maturity) is reached. (I can imagine what I would have done with an inheritance at, say, age 18 and it surely wouldn’t have been the smartest use of money!) The testamentary trust then terminates at whatever age you choose, at which point your beneficiaries receive their inheritances outright and can use the funds in any way they choose. The testator can choose the distribution to be distributed in percentages such as 25% at age 18, 25% at age 22, and the remaining 50% at age 25. Or, the trust funds may be distributed in full at a single age. (All at age 25 is the default if the testator doesn’t choose otherwise.) Distributions can also be made immediately upon your passing if all beneficiaries are legal adults (age 18 or older). The testamentary trust could also be set-up for disbursements around milestones, such as a percentage or full disbursement when the beneficiary graduates from an accredited two- or four-year college institution. With a testamentary trust, you also need to designate a trustee. The trustee is responsible for managing the trust property according to the rules outlined in the trust document and must do so in the best interests of the beneficiary (for example, a minor child). Generally, I advise the appointed guardian also be the trustee of a child’s testamentary trust. Option 1: Separate trust fund for each beneficiary. Each beneficiary’s inheritance to be held by the trustee in a separate fund. Whatever is left in each beneficiary’s trust fund, if anything, will be distributed to that beneficiary when they attain the age(s) indicated in the following section. This option ensures that all of your beneficiaries are treated equally, regardless of needs. Option 3: No delayed distribution. Beneficiary’s inheritance may be made directly to the beneficiary or a court-appointed conservator if the beneficiary is a minor/incapacitated. Funds will be distributed directly to the beneficiary at the age of 18. The important takeaway from all of this is that a testamentary trust can be entirely personalized to fit your wishes. For example, most folks want the testamentary trust written in such a way that their beneficiaries may have access to funds to pay for higher education costs like tuition, room and board, books, and fees, on top of the necessary funds needed for an adequate standard of care, protection, support, and maintenance of the beneficiary. If you already have an estate plan review it. Estate plans never expire, but major life events or a change in estate planning goals can necessitate changes. For example, if your family welcomed a new baby or adopted a child then it’s definitely time to update your estate plan to include them! Maybe something changes in the future with one of your beneficiaries and you want to change distribution percentages or ages? Simply contact your estate planning attorney and let them know your wishes. The love for your children knows no bounds and without a doubt, you want to make certain you can still provide for them if something unexpected were to happen to you. There’s no day like today (or Valentine’s Day!) to get your ducks in a row just in case. The best place to begin is with my Estate Plan Questionnaire or by contacting me. Thanks for reading the #GoFisch blog! 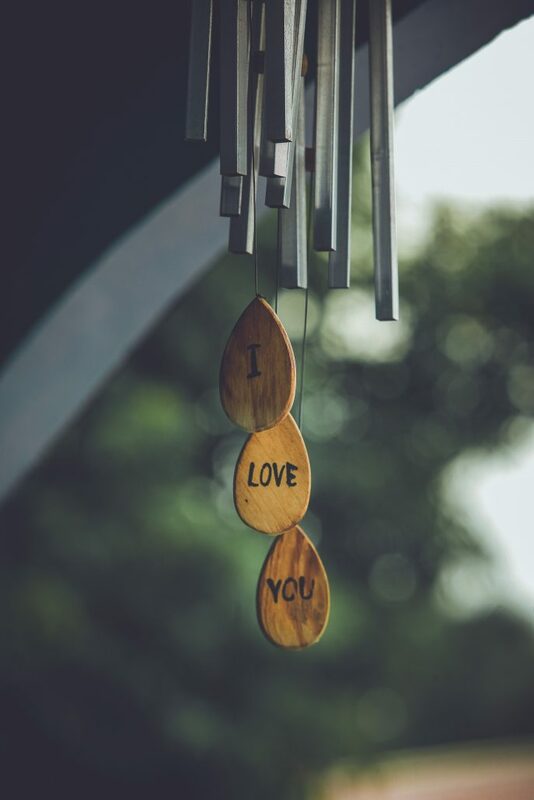 Now through February 14 I’m sharing how flowers, jewelry, or chocolate are not the only gifts that say, “I love you.” While not explicitly romantic, a personalized, quality estate plan speaks to that lifelong consideration and care be it for your significant other, your children, or even simply yourself. 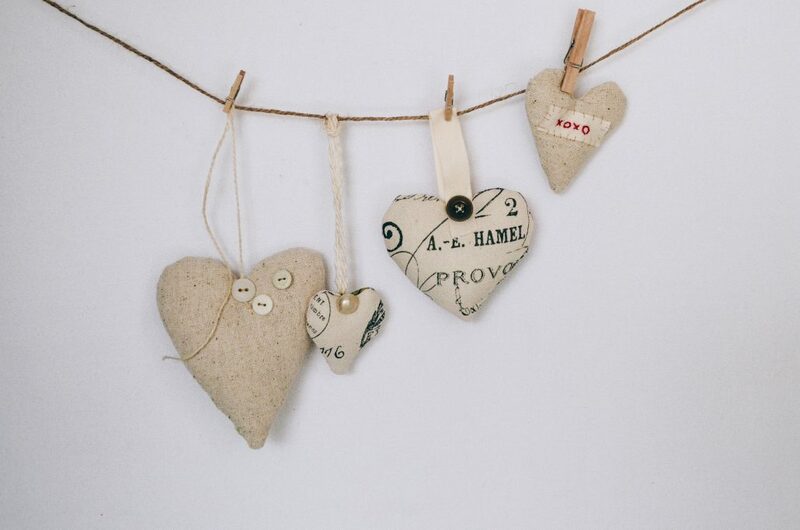 Typical Valentine’s Day gifts usually come in the expected packaging—velvet or heart shaped-boxes topped with silky ribbons and complete with a red rose or a sappy card. But, an estate plan is not your typical Valentine’s present and therefore needs some special storage. You’re more than welcome to put a bow on the documents following the signing…finishing your estate plan is something worth celebrating! However, a gift bag won’t do for safely and securely protecting your estate plan. I give my clients guidance on where to store their original estate plan documents because it should be both be kept private and safe, but should still be practical and accessible by those who need it such as your will’s executor or designated representative for financial matters. So, where specifically should your keep your original estate plan? There are a few different options. When you think accessibility, the places you spend the majority of your time, such as your home or office, are going to be obvious choices. Some of my clients who’ve chosen this option even invested in a water- and fire-proof safe. (Of course, if you get a safe, folks who need to access the estate plan, such as a spouse or child, obviously need access to the lock combo!) In any case, put the plan in a spot that’s likely to be protected from flooding or fire. For example, a dark, dank basement may not be the best place to keep your original estate plan documents. However, in your home office, in your desk’s top locked drawer (assuming others have a key), would be a much better spot. I know many folks who keep their important documents like birth certificates and social security cards in their safety deposit box. 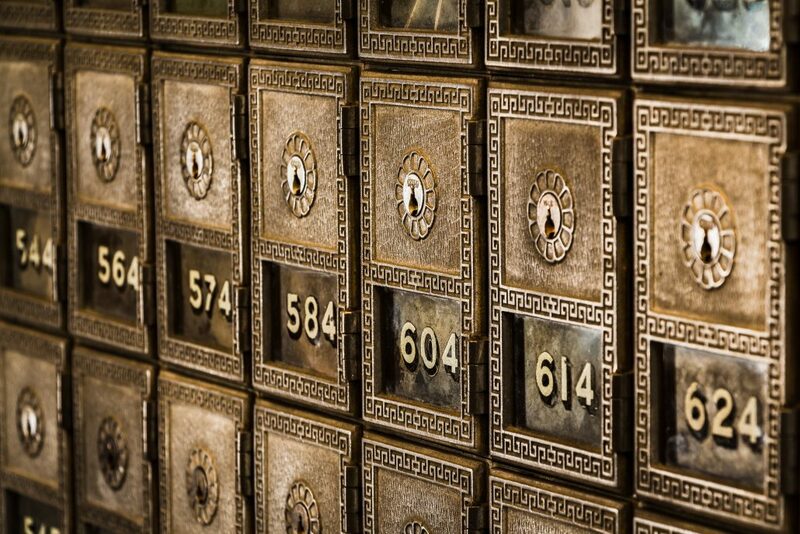 And when it comes to your original estate plan documents, your safety deposit box is a good option. Except, and this is hugely important, the safety deposit box must be readily accessible by executors, agents, and other fiduciaries. This requires making sure that your bank or credit union has the “right people on file.” Also, don’t assume that just because both you and your spouse have access to the safety deposit box, that is sufficient. What if there’s a joint accident or joint disaster and you’re both incapacitated? Sit down and talk with your bank or credit union to make absolutely certain those who need access to the safety deposit box will definitely have access in case of an emergency. Otherwise, a court order may be required before your financial institution will grant access, which equates to more bureaucratic hold-ups costing time, money, and even worse, adding additional stress for loved ones. So far, we’ve been talking about your original estate plan documents (with “wet” signatures). An original is always better than a copy. But a copy is better than nothing. Consider giving a copy of your estate plan to the executor of your will or successor trustee of your revocable living trust, and other named fiduciaries. The person you designate as your personal representative has the important job of settling your estate and they will need to be armed with your estate plan in order to reference your wishes and provide proof that they are authorized to take certain actions. This option makes a lot of sense considering this representative will have immediate cause to reference the paperwork following your death. I always recommend you retain a paper copy of your original estate plan, but there are many valid and secure options of also storing your key documents in the digital cloud. Like any financial, health, or other personal information accessible online, make certain you have a strong password and security. And, just like a paper version, at least your executor and other designated representatives will need to be able to access the plan when necessary. Whether that’s through an online beneficiary designation or by allocating the password to your executor or another trusted custodian, that’s up to you. To recap: an estate plan can make a wonderful Valentine’s Day gift that shows love and commitment to your favorite people. And, since you spent time, effort, and money to create an estate plan that meets your goals, it’s essential to keep it in proper storage. Remember: if no one knows you created a plan or no one has access to it, it’s as if you never had one at all. Before you can store your estate plan, you NEED an estate plan! The best place to get started is with my Estate Plan Questionnaire, or contact me. People can say “I love you” in many different words and through many different actions. This Valentine’s Day I want every Iowan to consider creating an out of the ordinary gift…an estate plan! An estate plan is not just an important legal document that saves your friends and family time, money, and potential heartbreak. A quality estate plan is also a way of expressing care, commitment, and, yes, even love…be it adoration for your significant other, for your family, or even just out of respect for your life and legacy. I could go on and on about the importance of having health care and financial power of attorney documents in place well before you hopefully never need it. I would be happy to share more than you’d ever want to know about the nomination of a guardian for minor children. Don’t get me started on the importance of detailing your wishes in the disposition of final remains document. But, I thought we could have a little fun with these sharable valentines (use the tag #PlanningForLove!) to get you inspired to take that first estate planning step and fill out my free Estate Plan Questionnaire. Help your favorite people avoid any reason for in-fighting or litigation. Have a quality estate plan made by a professional and then discuss your decisions with those close to you. For any great love, you’ll want to continue providing and supporting that individual even after your passing. Talk to your estate planner about what tools and strategies, like a living revocable trust, would be best for your situation. There’s no better way or place to detail your wishes for what you want to be done with your hard-earned assets than in an estate plan. For instance, if you want to give a portion of your estate to the charities near and dear to your heart, you can do so in your will. 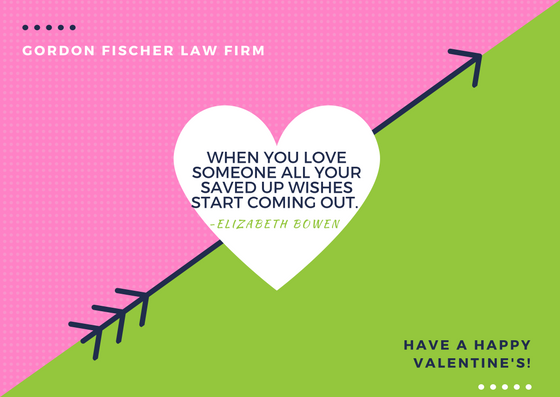 Of course, I would love to receive a Valentine from you, but I would also like to talk with you about your estate planning needs and how, oddly enough, this legal document makes the perfect Valentine’s Day gift to yourself or someone you love. Contact me at any time via email or phone (515-371-6077). Love Super Bowl Sunday? Then You’ll Love Estate Planning! For two formidable teams (New England Patriots vs. Los Angles Rams), it’s the culmination of a season. (And for us, it’s a great excuse to indulge in all the best tailgating snacks.) It’s a grueling seven-month schedule with tons of variables from pre-season training camp to regular season kick-off to post-season playoffs. Just like all the games leading up to the Super Bowl, a lot can happen throughout a lifetime. So many variables, so many strategies, upsets, and so many potential outcomes. While it may be difficult to ponder the inevitably of your own timer running out, preparation for what happens after your season ends is indeed necessary. 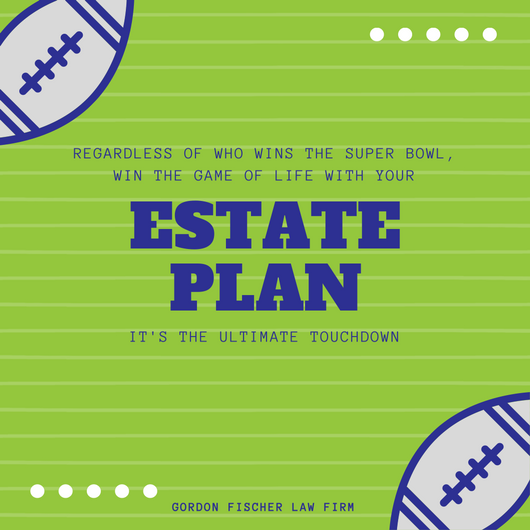 Estate plan – An estate plan is the whole playbook, generally containing the following documents: your will; healthcare power of attorney; financial power of attorney; disposition of personal property; and final disposition of remains. Will – A will is a superstar which can accomplish so much for your team. For example, who will quarterback the distribution of your property at the end of the game? You need to make certain the will is well crafted, solid, and can stand up in court. Keep in mind though, important assets such as retirement assets and investment accounts may well contain beneficiary designations that actually trump your will. Health care power of attorney & financial power of attorney – Don’t let a sudden disability completely take you out of the game. Have someone strong come off the bench to carry you to your personal goals. Trust – You have lots of different options with this multi-tool MVP. A trust can help your team in so many different ways and provide you huge advantages in every facet of the game. Thorough planning is the best way to plan for the end of your season so that you and your family are never caught unprepared. When you are no longer around to coach and care for the rest of your “team,” make sure they are both provided for and are provided training on how to keep pushing forward by settling your affairs. A comprehensive estate plan, written by an experienced estate planner, is the best way to do this. Your loved ones and close friends are all a part of your team; part of being a strong team player is including them on the plays you’re making. Discuss important aspects of your estate plan with the people it involves to avoid any confusion or conflict when it comes times for them to carry out your wishes. For instance, if you have minor children (under age 18) you’re going to want to establish legal guardianship if the worst happens and you’re no longer around to care for them. You’ll want to discuss with your chosen guardians ahead of time to make sure they’re willing and available to carry out the responsibility. Understand football? Then you can understand estate planning. Pro football coaches switch up who’s starting for the best winning strategy. Similarly, you may well need to make adjustments to your estate plan “lineup” as things inevitably change over the course of your life. Big events like marriage, birth of a child/grandchild, moving to a different state, a large change in financial status, divorce, and other significant changes are good reason to review your designated representatives, beneficiaries, and overall goals. Given their high profile sports status, these players also help inspire folks across the country to do the same. (In one great example, these football fans donated to NFL players’ favorite nonprofits!) You too can be a fierce philanthropist, but without actually having to sprint, throw, or sweat! You can include your favorite charities in your estate plan as beneficiaries. Then there are the other charitable giving tools that can be included as a part of your “end game” like charitable gift annuities and the charitable remainder trust. I cannot predict who will win the Super Bowl today, but I can say without a doubt that you never know when the game is going to change. You never know when you (and/or your team members) are going to need any one of the documents a part of your estate plan. So, you need to have your “playbook” written out ASAP…well, you can wait until after the big game! The best place to start on your estate plan is with my free, no-obligation Estate Plan Questionnaire. You can also shoot me an email or give me a call at 515-371-6077 to discuss your situation (or football). https://www.gordonfischerlawfirm.com/wp-content/uploads/2018/02/Screen-Shot-2019-02-03-at-2.06.47-PM.png 572 1036 admin https://www.gordonfischerlawfirm.com/wp-content/uploads/2017/05/GFLF-logo-300x141.png admin2019-02-03 11:00:402019-02-03 14:15:30Love Super Bowl Sunday? Then You'll Love Estate Planning!